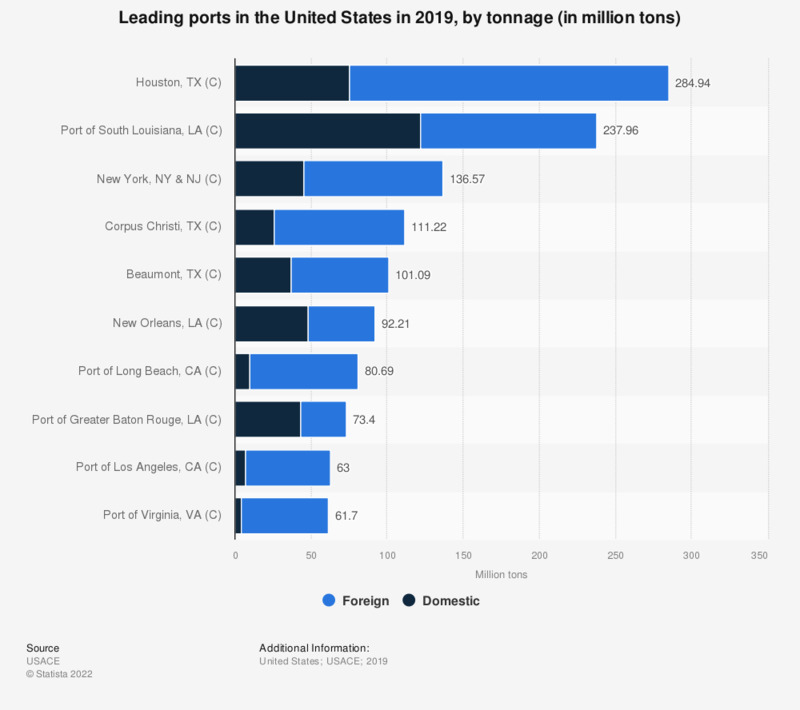 This statistic represents a ranking of the leading U.S. ports in 2016, by tonnage in short tons. In that year, the port of Baton Rouge, Louisiana, handled approximately 43 million short tons of domestic cargo. Type code depicts the location of the port as Coastal (C), Great Lakes (L) or Inland (I).